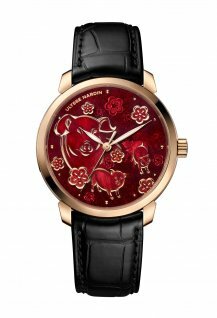 For Chinese New Year, Ulysse Nardin brings us champlevé enamel pigs on a blood-red dial. 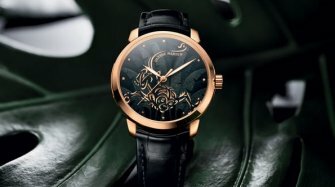 Ulysse Nardin has chosen a Classico model to celebrate Chinese New Year 2019 – the year of the Pig (or wild boar). The watchmaker inaugurated its series of special Chinese Calendar models in 2011. This 2019 edition showcases the technique of champlevé enamelling. 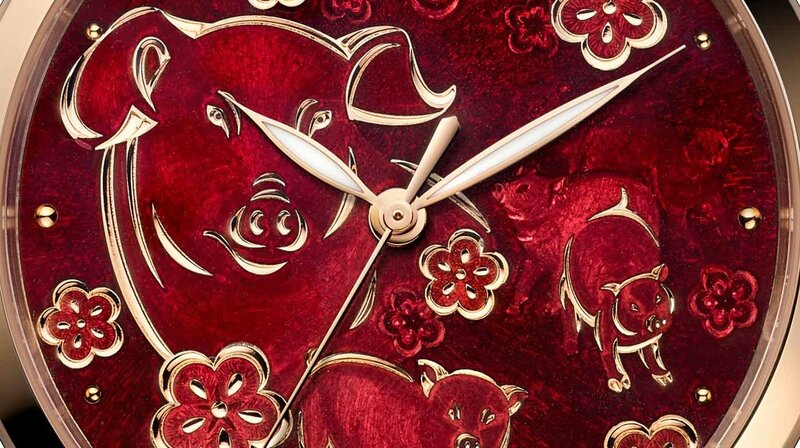 The red dial features several pigs in a variety of sizes and positions, who share the space with abstract flower motifs. 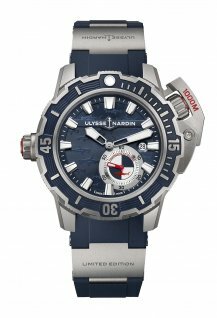 It is the work of master craftsman Pierre-Alain Lozeron, a regular collaborator of Ulysse Nardin. He begins by carving the design into the base of the dial using a burin. 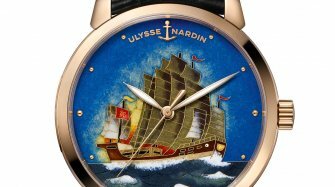 The base is then handed over to the master enamellers of Donzé Manufacture, part of the Ulysse Nardin group, which specialises in this complex traditional craft. The enamellers fill the carved cells with enamel powder, and the dial is then fired in a kiln until the correct shade of red is achieved. Finally, the dial is returned to the engraver for a second round of carving, which can be seen in the pigs’ ears, for example. Each dial takes the engraver and enamellers around 30 hours to complete. The deep red enamel of the dial is complemented by the polished red gold of the case. It has a diameter of 40 mm and is water resistant to a depth of 50 metres. 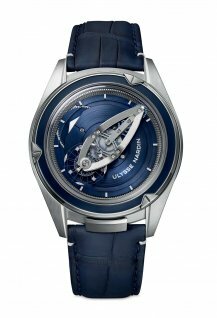 Inside is the self-winding Calibre UN 815, with a 42-hour power reserve, which can be admired through the sapphire case back. This movement drives the essential functions of the three-handed time display, kept deliberately simple to focus all the attention on the decorated dial. 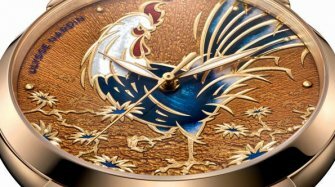 The watch, which comes fitted with a blue alligator strap complete with red gold folding clasp, is produced in a limited edition of 88, a highly symbolic number in China, representing prosperity and happiness. It will be available in China from March.